In early 1958, Chuck Berry released “Sweet Little Sixteen,” a song that would change the course of music history. It ignited the urge to celebrate rock and roll in kids throughout America, but it also traveled the world and influenced four boys in Liverpool during their defining years.Related StoriesWhat It Took For Chuck Berry to Invent Rock n RollBerry and Breslin Reinvented the English Language”From the first minute we heard the great guitar intro to ‘Sweet Little Sixteen,’ we became fans of the great Chuck Berry,” Paul McCartney wrote of the late Chuck Berry’s influence on the Beatles. “His stories were more like poems than lyrics—the likes of ‘Johnny B. Goode’ or ‘Maybellene.’ To us he was a magician making music that was exotic yet normal at the same time. 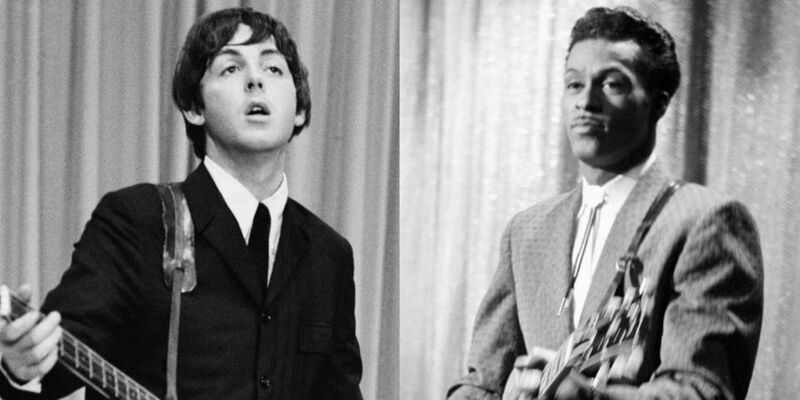 We learnt so many things from him which led us into a dream world of rock ‘n’ roll music.”Five years later, the Beatles recorded “Sweet Little Sixteen” only once in London before storming America in the winter of ’64. During their formative years, some of the Beatles’ biggest hits were covers of Berry songs. 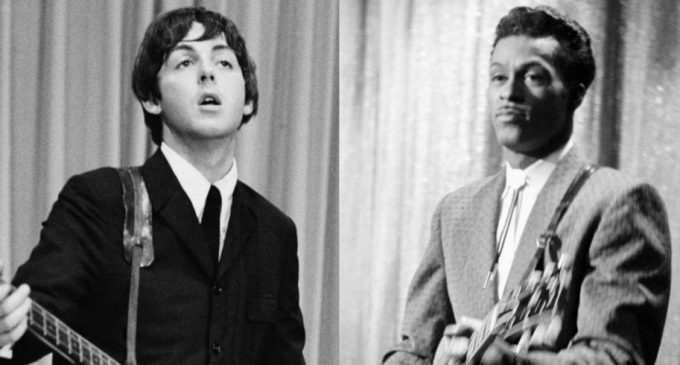 And throughout the band’s iconic career Berry’s influence was on nearly every album, from “I Saw Her Standing There” off Please Please Me to “Back in the U.S.S.R.” off the White Album.”Chuck was and is forever more one of rock ‘n’ roll’s greatest legends all over the world,” McCartney wrote in his tribute. “I was privileged to meet him in his home town St Louis when I played there on tour, and it’s a memory I will cherish forever. It’s not really possible to sum up what he meant to all us young guys growing up in Liverpool but I can give it a try.”It’s hard to imagine the Beatles without Chuck Berry paving the way for them, but then again it’s impossible to imagine last half-century of music as a whole without the inventor of rock.